There is no bad remark about the college, Institute is best and my choice is also best. Its a wonderful with full facilities for the students requirements and the awesome weather of Indore with nearby tourism points. 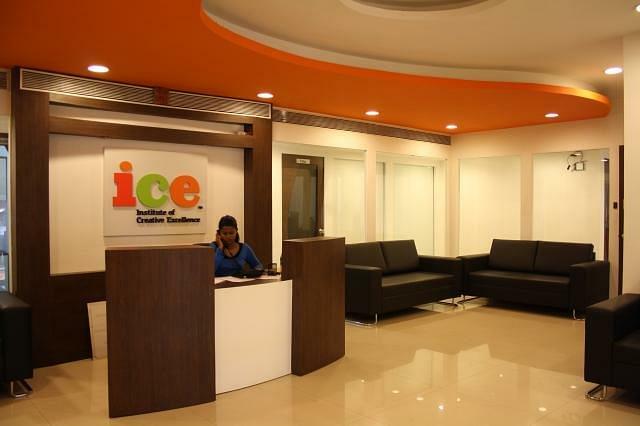 With its network in the Industry, ICE also gets regular updates on placement opportunities which it continues to share with its students. 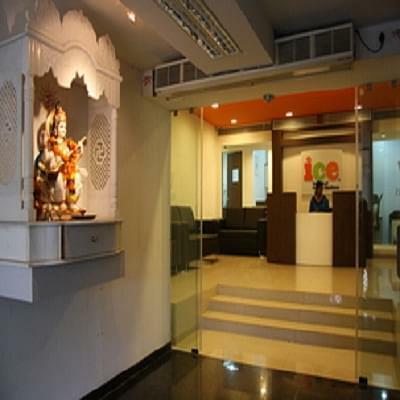 Institute of Creative Excellence (ICE), New Delhi was established in 2010 by Balaji Telefilms. 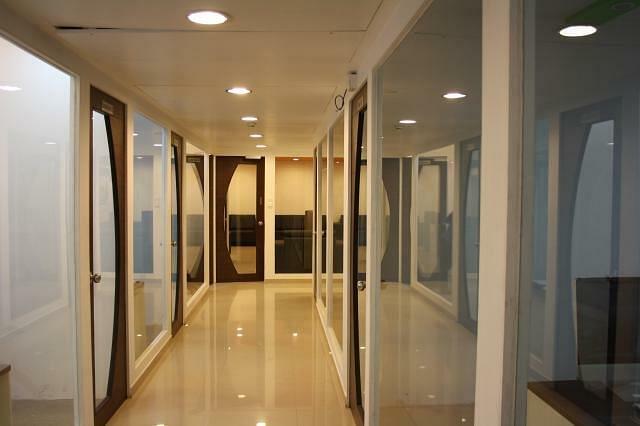 Institute of Creative Excellence is an ISO 9001:2008 Certified Institute. 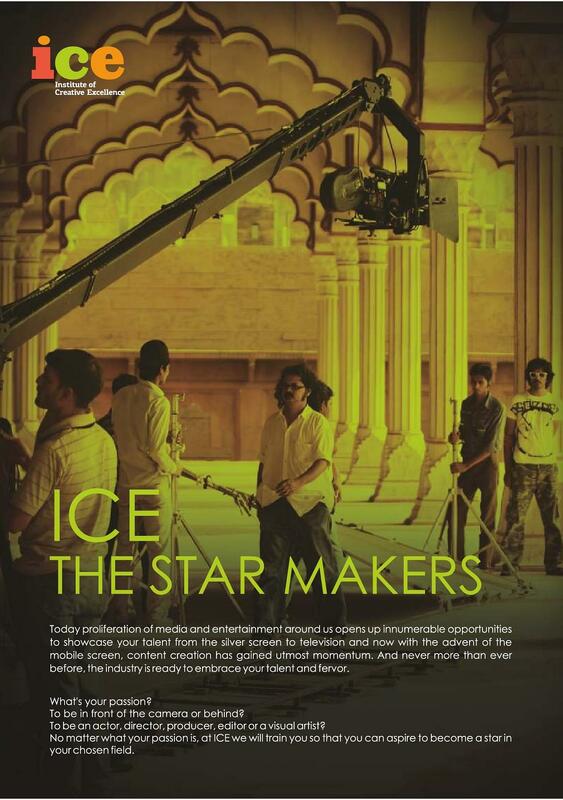 The aim of the college is to provide world class quality education to the aspirants for the entire gamut of Media & Entertainment industry related courses, Covering all major specializations like Acting, Cinematography, Direction, Editing, Production, Scriptwriting, Sound, Animation & VFX, Dance, Ad Film Making, Digital Photography and Modeling. 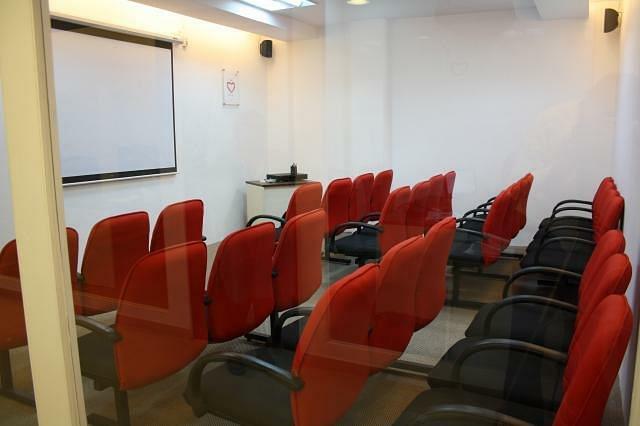 They incorporate the latest training methodology of Blended learning which incorporates elements of Instructor Lead Training (ILT), Computer Based Training (CBT) and Web Based Training (WBT). 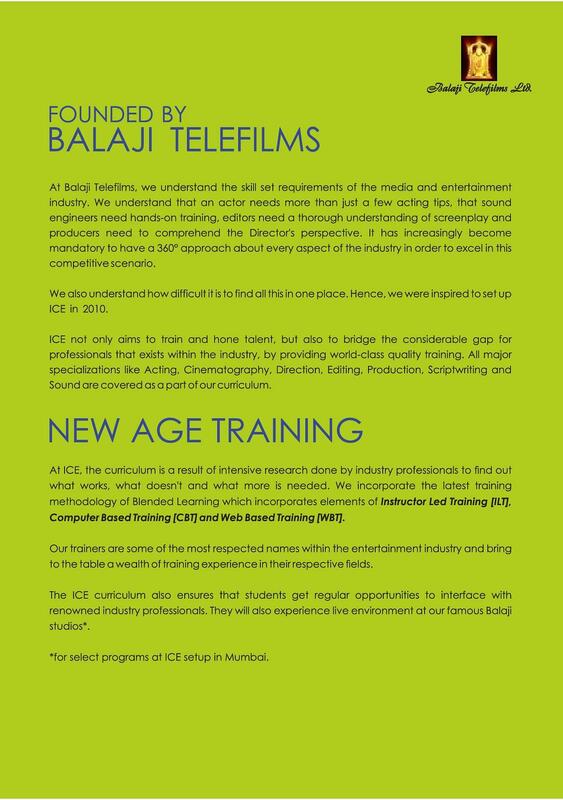 Institute of Creative Excellence Curriculum ensures that student gets regular opportunities to interface with renowned industry professionals. 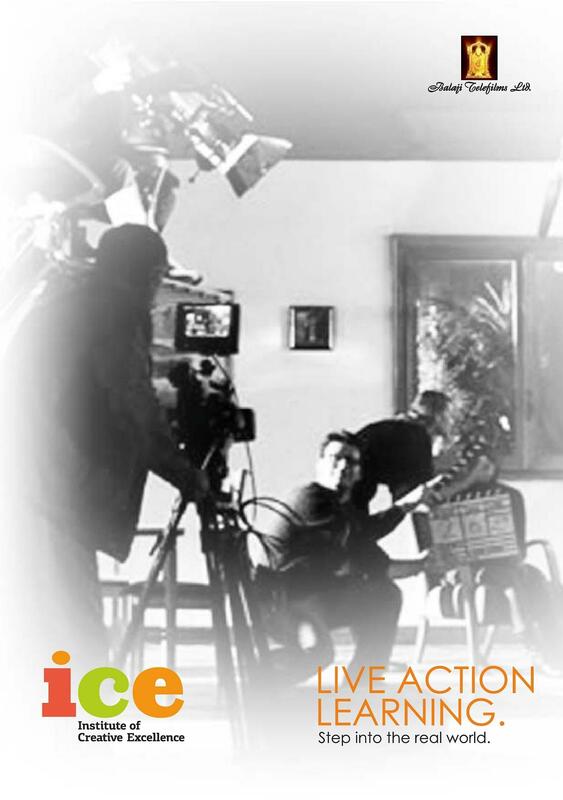 The students get an opportunity to get exposed to the live environment in Famous Balaji studios during their curriculum. 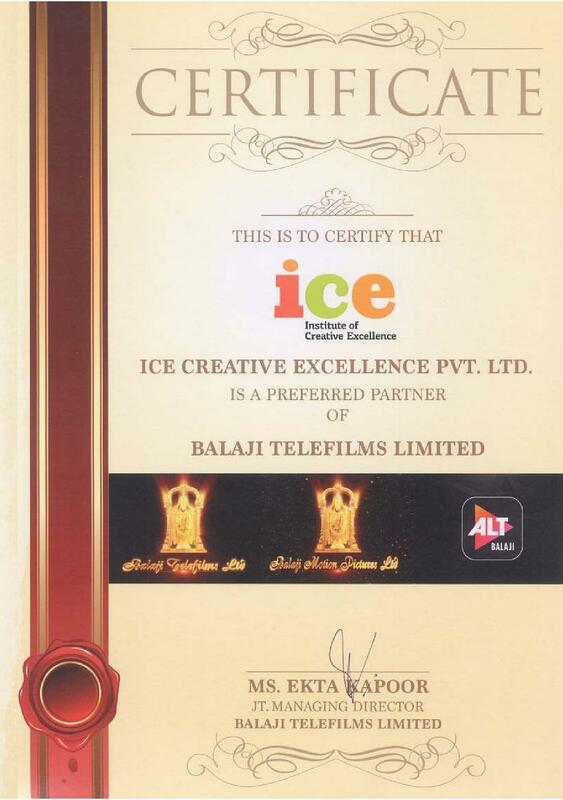 Balaji Telefilms has been a prominent player in the Media & Entertainment Sector for last 15 years. Being the largest player in the Industry, they understand the skill set requirements of the industry which as on today is saddled with a large demand and supply gap. 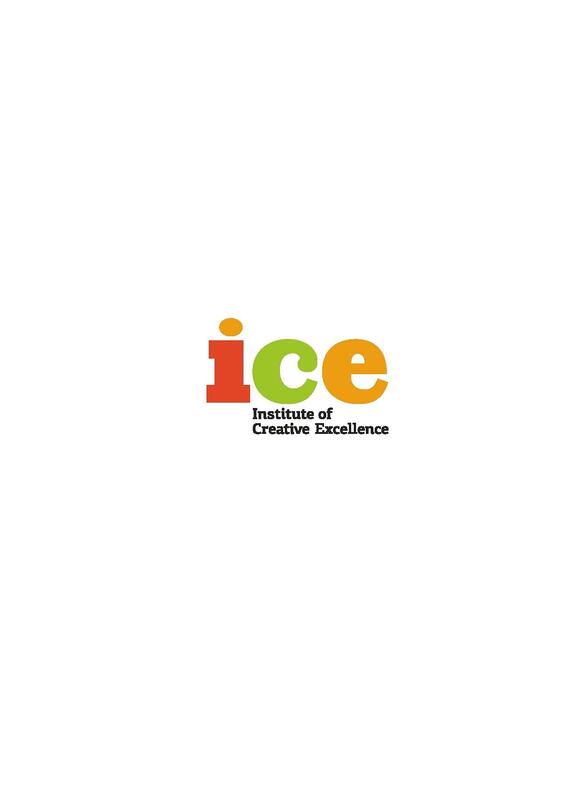 At the Institute of Creative Excellence, their Power-packed program curriculum is a result of intensive research done by Industry professionals. Trainers at the Institute of Creative Excellence not only bring on table rich hands-on experience in this Industry but also have a wealth of training experience in their respective fields.